If you haven’t taken advantage of the daily quests on World of Warcraft, then you’re missing out on a lot of important bonuses, gear, and enchantments. 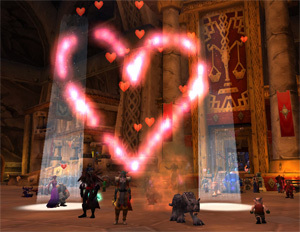 Many players believe that they should stop doing quests altogether the moment they reach level 85. However, level 85 should be the time to really focus on doing daily quests to earn gold and reputation with various factions. Of course you’ll always need gold to purchase crafted gear, gems, and enchanting materials so you can gear up to run Icecrown Citadel, and WoW dailies give you a steady source of income, which is perfect for those players who just don’t understand the auction house system very much. Running WoW dailies can earn you an average of 300 gold for running all of your daily quests. Each character can run 25 quests per day, and many of them pay an average of 13 gold per quest. One thing that’s often overlooked on World of Warcraft is reputation. It may seem like reputation just isn’t worth the time, but there are some factions that have rewards which make it very helpful to have an exalted status with them. Reputation isn’t too important as you’re leveling, but when you reach level 85, you’re going to need to purchase special enchantments from certain factions. Even enchanters will want to work on their reputation with these factions because the enchantments offered as rewards cannot be handed out by enchanters. One of the first reputations you should work on through your WoW dailies is the Sons of Hodir. These daily quests are located in the Storm Peaks area, and you may even have completed some of them while you were leveling your character. The Sons of Hodir offer enchantments for pretty much every class, in addition to special gem designs for jewel crafters, rare and epic mounts, and the tailoring pattern for the 22-slot glacial bag. To purchase any of the rewards from the Sons of Hodir, just visit the quartermaster in the Storm Peaks area. Since you’re able to do 25 daily quests per day, you might be wondering just how quickly you can get them done. After all, you probably don’t want to spend all day playing World of Warcraft, no matter how much you enjoy the game. However, you can actually get your WoW dailies done in two hours or less if you plan your route carefully. You can’t waste any time traveling between daily quests, so you’ve got to do as many of them in one area at the same time as you possibly can. It’s really not a bad idea to check out a WoW dailies guide like Dugi’s Dailies and Events Guide. Getting started with a regular daily quest routine can be overwhelming, but a WoW dailies guide can really help you sort out your thoughts and figure out how to create a speed gold run.